The Hebrides have been shown to have been inhabited as far back as 6500 BC. There are countless archaelogical sites throughout the islands that provide evidence of thriving communities in the Inner and Outer Hebrides. It follows logically that the Hebrides have a fascinating and complicated history. Prior to Viking rule which began in the late 8th century, the Hebrides were divided by north and south. The southern Hebrides were a part of the Gaelic kingdom of Dál Riata, which included parts of western Scotland and northeastern Ireland as well as Mull, Iona, Jura and Islay. To the north and west, the other islands of the Hebrides were controlled by the Picts. Of course the borders would change through battle and conquest and Dál Riata expanded northward and southward at its peak. Beginning in the late 8th century, the Norse began infiltrating the area and the Kingdom of the Isles was established by Ketil Flatnose who was sent by Harald Fairhair, the King of Norway. 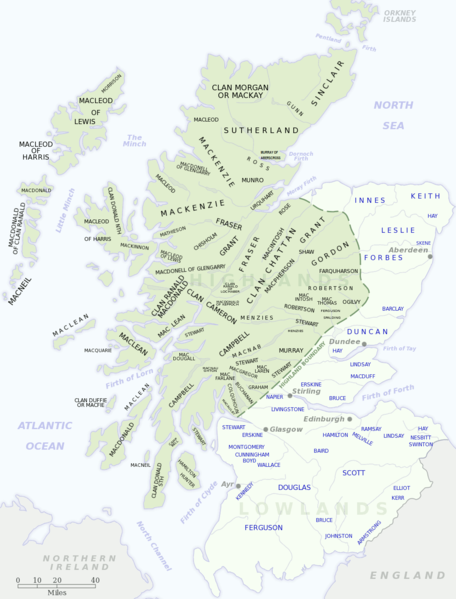 The Kingdom of the Isles included what was known as the Southern Isles. The Hebrides, the Isles of Man, Firth and Clyde were a part of it. The Orkney and Shetland Islands were known as the Northern Isles. Although the Viking rule lasted for 400 years, there is surprisingly little that endures from that era other than some of the place names. Travel reports during the 13th Century advised not to visit the area due to the “dangerous inhabitants, incomprehensible language and bad weather”. With the signing of the Treaty of Perth in 1266, the islands became part of Scotland and the islands were in large part controlled by the clans. The word ‘clan’ in Gaelic refers to children or family. This is somewhat misleading because members of the Scottish clans were not always blood relatives. Labourers under the protection of a clan would take on the clan name. The clan chiefs who had authority and power over their lands could add or ban citizens from the clan. Some clans claim origins from mythological characters, but nearly all have a combination of Norse and Gaelic lineage. The MacDonalds were known as the Lords of the Isles. The Clan Castles include Loch Finlaggan on Islay, the main stronghold, Armadale Castle on Skye, which now houses the Museum of the Isles and the Clan Donald Centre, and the ruins of Dunscaith Castle at Sleat on the Isle of Skye. 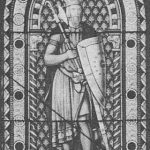 The powerful MacDonalds were descendants of Somerled, a Celtic warrior King born in 1113. Although he was half Norse and married the daughter of a Norse king, he defeated the Vikings, freeing the area from Norse rule. Somerled built a strong fleet which captured many Viking ships. He supposedly was also the inventor of the steerable rudder, which gave him and his men a great advantage on the waters. The MacDonalds built a huge empire by 1160 and were regarded as rulers of the seas for around 400 years. There are multiple branches of the MacDonald Clan and there are said to be about 500,000 people alive today who are descended from Somerled, making him second only to Genghis Khan in terms of number of descendants. 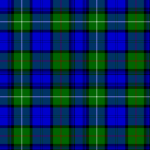 The MacLeod Clan historically had two branches, the MacLeods of Harris and Dunvegan and the MacLeods of Lewis. Leod is a Norse nickname for ugly. The original Leod was a descendant of the Norse king Olaf the Black. Leod’s sons Tormod and Torquil became lords of Harris and Dunvegan and Lewis respectively, although the MacLeods of Lewis lost influence to the MacKenzies in the 16th and 17th centuries. The MacLeods also had influence on Skye and North Uist. 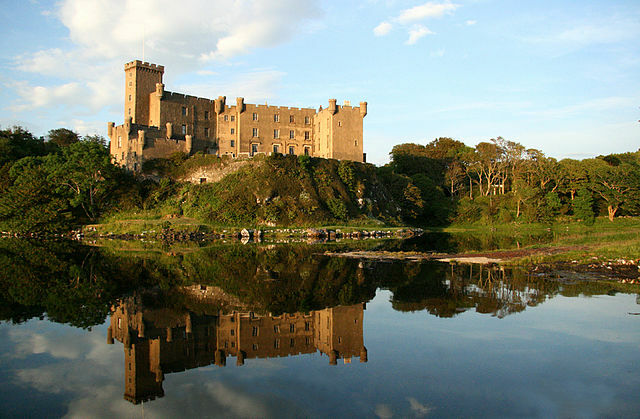 The clan castle, Dunvegan, the stronghold of the MacLeods for 800 years, is the oldest continuously inhabited castle in Scotland. 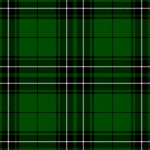 Both branches of the MacLeods were supporters of the MacDonald Clan until 1493 when the MacDonalds lost lordship of the isles, at which point the clans began feuding with each other causing a period of bloody anarchy in the Hebrides. Alisdair Crotach (hunchback in Gaelic) was the eighth chief of the Harris led clan. He is known for the massacre of 395 MacDonalds on the Isle of Eigg. In spite of this, he was a religious man who finished his life as a monk on Harris. Under his rule, music, dancing and poetry flourished. The MacCrimmons were a family of pipers who have been ‘masters of the pipes’ to the MacCleod chiefs for centuries. The tradition continued in the 20th century with two MacCrimmons being instated as official pipers. 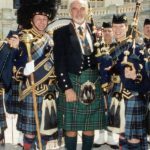 Sean Connery wearing MacLean tartan. His mother was a MacLean. The territory of the MacLean Clan includes the isles of Mull and Coll. 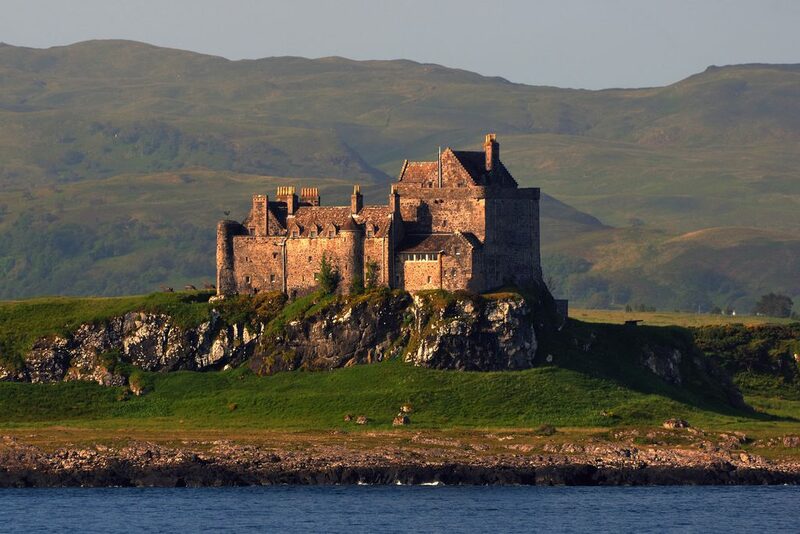 Duart Castle, which was rebuilt at the beginning of the 20th century by Sir Fitzroy MacLean, is the historical stronghold of the clan. 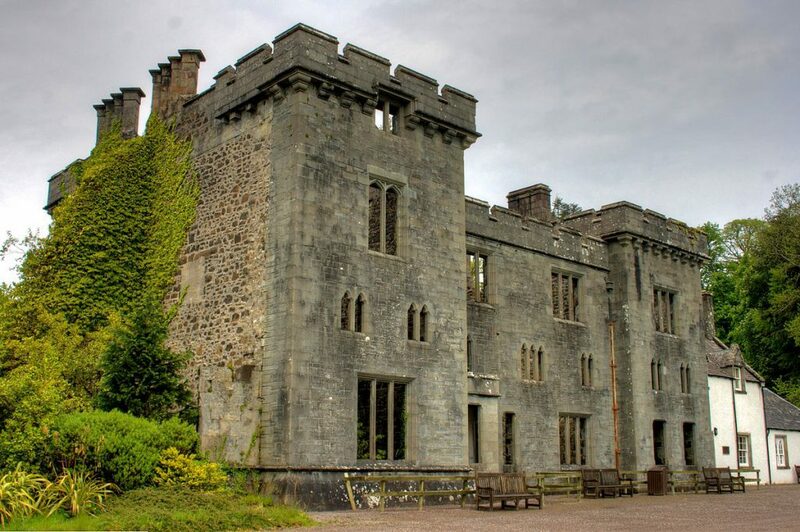 It is located on the Isle of Mull and clan chiefs continue to reside there since the renovation. 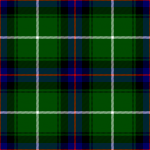 The MacLean Clan is one of the oldest. The MacLeans were regarded historically as skilled warriors. Their founder is Gilleain na Tuaighe, or Gilleain of the Battle Axe, who lived in the 13th century. In the 16th century, Lachlan MacLean fought against the MacDonalds at Islay and was killed in battle. In retaliation, his sons sought revenge in a three day massacre against the people of Islay. The MacLeans went on to fight for Elizabeth I of England. Their skill in battle won them substantial financial rewards for fighting for the Queen in Ireland. They also became involved in helping a galleon of the Spanish Armada which Philip of Spain had launched against Queen Elizabeth. Lachlan Mor agreed to help the Spanish if they would join the MacLeans in battle against their rivals. The galleon, however, was blown up in Tobermory Bay by and English spy. Later on, the MacLeans were outwitted by Clan Campbell in the courts, causing substantial losses of their territory. 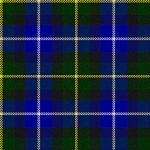 At one time, the MacKenzie Clan were the fourth most powerful of the clans and controlled land from the Isle of Lewis to the mainland. 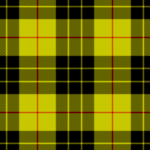 The founding clan chief, Colin Fitzgerald, was known as Caberfeidh, meaning deer’s antlers. He is said to have saved King Alexander III from an attacking stag by spearing the beast through the head. The King rewarded him greatly by giving him a significant amount of land. 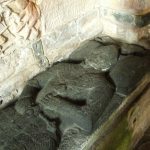 The ambitious MacKenzies were royal agents for a series of Scottish kings. During the 1600’s, when Lewis was in chaos, King James VI, who had a dislike for the Gaelic culture, regarding its representatives as mad and barbarous, felt himself forced to use clansmen to exercise some authority over the situation. 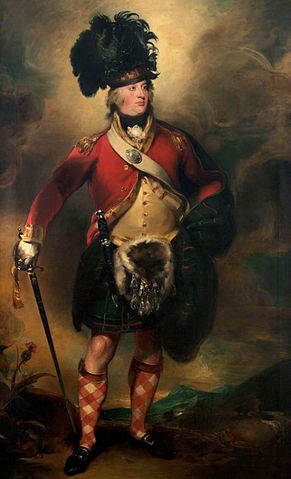 As a result, Colin MacKenzie invaded Lewis with 700 men to seize the land from the MacLeods. The MacLeods retreated to the Isle of Berneray. The MacKenzies captured a great number of women and children as they fled and herded them to a rocky island, abandoning them to the incoming tide. This left the MacLeods with no choice but to surrender or lose their women and children. As a result, they lost their claims to the Isle of Lewis. In 1815, the direct male line of the MacKenzies became extinct with the death of Francis MacKenzie Humberston. Two centuries earlier, the Brahan Seer foretold that the last of the MacKenzie clan chiefs would die a deaf mute. Francis outlived all four of his sons before scarlet fever caused him to become deaf and blind, thus fulfilling the prophecy. The descendants of the MacKenzies thereafter had to claim their name and title through maternal lineage. The MacKenzies were loyal to the Stuart monarchy, supporting Mary, Queen of Scots. They eventually became British aristocrats. The territory of the MacNeils includes the Isles of Barra, Sanday, Mingulay, Berneray, Gigha and Colonsay. The historic seat of the MacNeils is the 14th century Kisimul Castle, which was restored in the early 20th century. The MacNeils were a mix of Celtic and Norse. They were known as seamen and pirates, distinguished by their Birlinn, a more sophisticated variation of the Viking longboat. The first Viking on Barra was Omund the Wooden Leg. The MacNeils have claimed to be descended, however, from Niall of the Nine Hostages, an Irish King. A DNA project has recently proven this to be false. 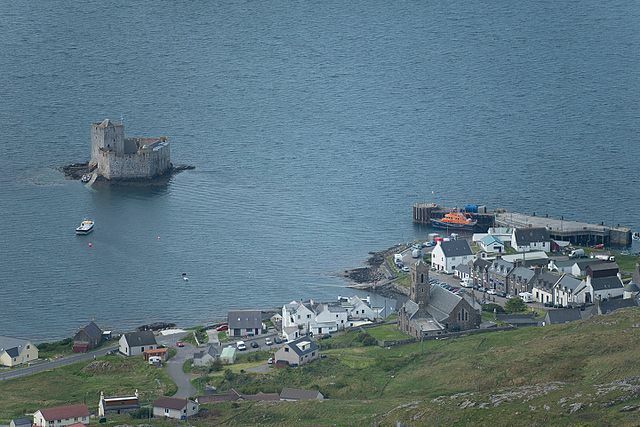 For centuries, the MacNeils raided the seas from their base at Kisimul Castle on Barra. Perhaps this is a sign that they might look toward a more Viking origin. Overall, the history of the MacNeils is quite obscure, although they did become quite a force to be reckoned with and even attacked the Royal Navy under Roderick MacNeil during the reign of James VI. In 1838, after much hardship, resulting in mass emigration from Barra, Clan Chief Roderick, the 21st clan chief, was forced to sell Barra. Over the last couple centuries, the Hebrides have gone through periods of both growth and decline. Some of the smaller islands are no longer inhabited. Life has definitely changed, but the clans continue to live on. Instead of leading men into battle against other clans, the clan chiefs are now bankers, businessmen and restaurant owners.